ESET has gained the Challenger position in the 2018 Gartner Magic Quadrant evaluation. This placement is based on our Completeness of Vision and Ability to Execute. We feel the Gartner Magic Quadrant is recognized as the definitive report on security providers who offer endpoint protection platforms. Detailed analysis of the endpoint protection market including growth factors and challenges. Unbiased, comparative evaluation of vendors in this space. Specific criteria which assist in the selection of endpoint protection platforms. Download your complimentary Gartner report now and read more about ESET’s performance as Challenger. Gartner Inc, Magic Quadrant for Endpoint Protection Platforms, Ian McShane, Prateek Bhajanka, Avivah Litan, Eric Quellet, January 24, 2018. 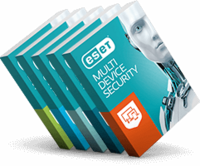 ESET® is a multinational software security partner. We protect more than 100 million users around the world and we are #1 global endpoint security partner from the EU. ESET is privately held and free from the constraints of quick ROI for investors, which allows us to focus solely on security. Backed by 13 R&D centers worldwide, ESET is the first IT security company to earn 100 Virus Bulletin VB100 awards, identifying every single “in-the-wild” malware without interruption since 2003. This year ESET celebrates 30 years developing industry-leading IT security software and services for businesses and consumers worldwide. 아직 GDPR을 준수하지 않습니까? 지금 대응하십시오. 소프트웨어를 다운로드 (라이선스 키 필요) 또는 무료로 ESET을 체험하십시오. 소프트웨어를 다운로드하십시오 (라이선스 키 필요). 여기서 무료 체험판을 요청하십시오. 보안 도구, 유틸리티 및 베타 버전을 무료로 다운로드하십시오.